Spindle cell variant of embryonal rhabdomyosarcoma in a 6 y/o male who presented with a paratesticular mass. 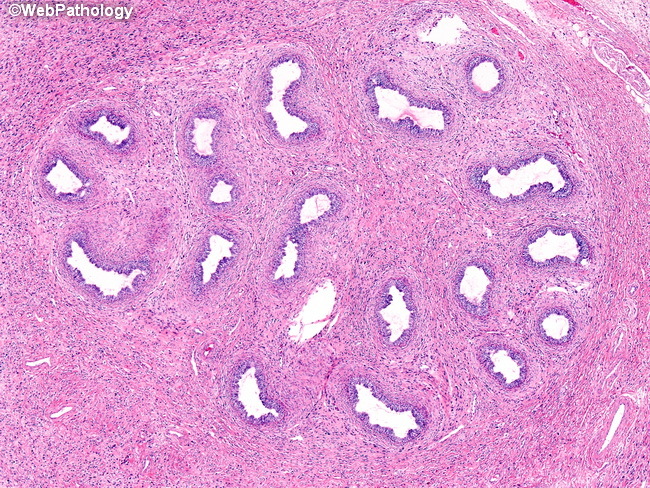 There is a spindle cell infilterate in between and around epididymal tubules. See higher magnification in the next image.